The Anheuser-Busch Grant's Farm is a popular summer attraction in St. Louis, featuring the famed Clydesdale horses, but it's also a great place to go in the fall for a little Halloween fun. Each year, Grant's Farm hosts a family-friendly Halloween celebration complete with costumes, decorations, food, music, and fun activities. Get into the Halloween spirit with a one-of-a-kind celebration of themed shows, a DJ in the Bauernhof Courtyard, and themed rides through Deer Park featuring a dazzling Halloween lights display on select dates in October. Even if you visit Grant's Farm in the off-season, though, there's plenty to discover on this famous property—from the Clydesdale horses and the exotic animals found in the Deer Park to the historic four-room cabin beautifully restored in 1977 to its original 1855 condition. The Halloween celebration begins with a tram ride in the dark to the center of the park, and along the route, there are a variety of ghosts, goblins, and other decorations lighting the way. While the decor is spooky, it's still designed to be kid-friendly for the most part, but you should bring a flashlight to help spot animals in the dark. After the tram ride, you can walk around and see more of the animals. If you're looking for a good place to hang out and enjoy the evening, head over to the Bauernhof. That's where you'll find a DJ playing music, a variety of food for sale, and free samples of Anheuser-Busch beers for those 21 and older. The Grant's Farm Halloween celebration also has plenty of fun for the kids. Children can feed the goats or ride the carousel, but you do need to buy tickets for the ride. 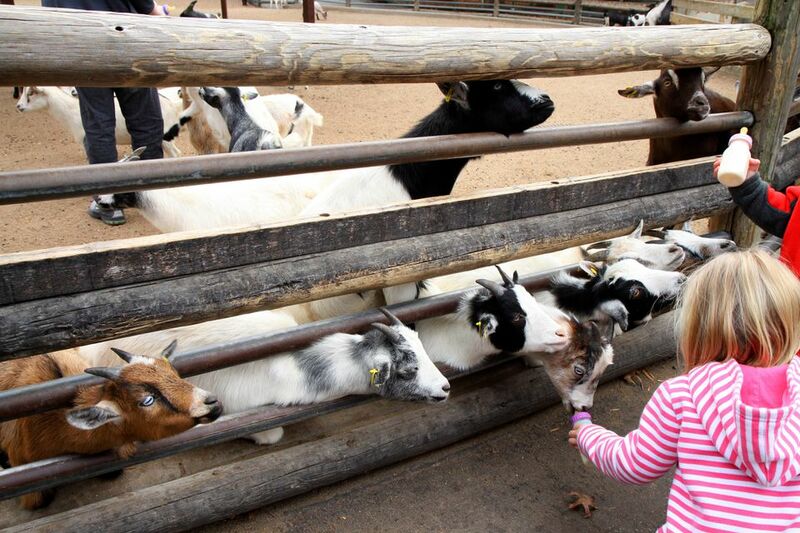 Alternatively, kids can feed goats from milk bottles for an additional fee. Other options for the kids include pumpkin decorating and Halloween themed shows, but keep in mind that there is no actual "trick or treating" for kids at Grant's Farm, so if that's what your children are really interested in, you may want to check out one of the other kid-friendly Halloween celebrations around town. Grant's Farm is just one of the local attractions hosting special Halloween events. Kids can also enjoy a safe evening of Halloween fun at Boo at the Zoo at the St. Louis Zoo or the Not-So-Haunted House at the Magic House in Kirkwood. There's also the big party in the Central West End on the Saturday before Halloween featuring trick-or-treating and a costume contest for kids during the day, with adult events in the evening.